Naruto was the first anime/manga series I watched/read and was what prompted me to learn about cosplay. It’s probably the first anime series most folks watched too when it broadcast on Cartoon Network, becoming a big part of many people’s childhoods. It focuses on Naruto Uzumaki; the main protagonist of the series who contains the mysterious Nine-Tail Fox spirit causing him to be outcasted from his village. The ostracization made him even more eager to prove himself as a ninja and eventually as a Hokage. Eventhough Naruto is the main character of the series Kakashi Sensei is by far my favorite. As Naruto’s sensei he guided him to fulfil his potential alongside his two classmates: Sasuke and Sakura. 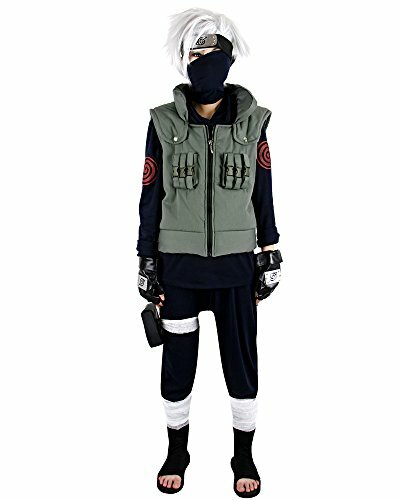 Today we’re going to show you how to put together a Kakashi Sensei costume for cosplay conventions and Halloween. I predict this will be a massive hit amoungst anime fans who will be begging to take selfies with you all night so let’s get started. 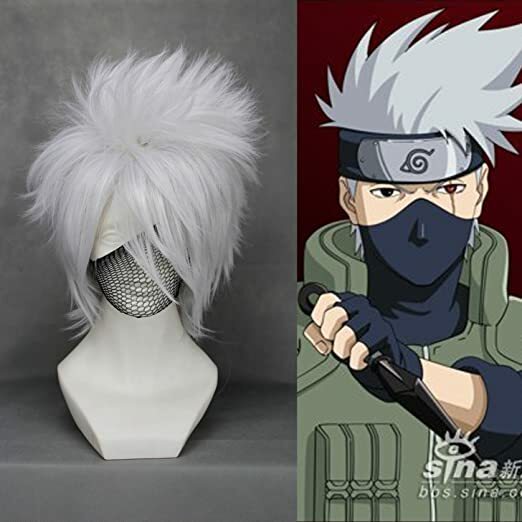 Kakashi sports light grey spiky hair, therefore you could either wear a wig such as the one above, or bleach your hair and tint it with grey then style it with plenty of hair spray or gel. 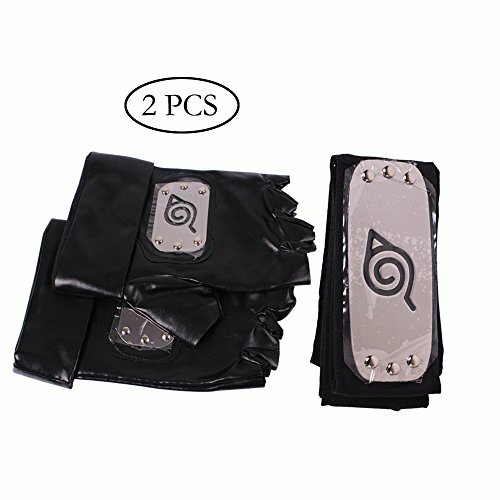 Don’t forget a leaf village headband to wrap around your forehead which you can buy pre-made or create using black fabric fashioned into a headband with the leaf icon drawn onto painted card. Then is the cosplay outfit itself. 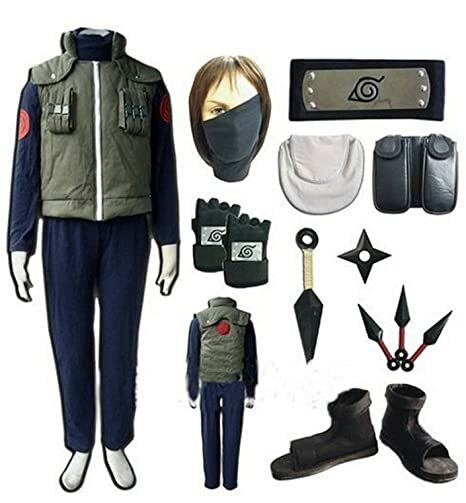 Kakashi wears a blue long sleeved coat and blue pants along with a green ninja vest. Don’t forget gloves and a partial face dress which hides something rather mysterious underneath (I won’t spoil the surprise). To recreate this from scratch wear a blue turtleneck, blue pants and a repurposed old military utility vest. 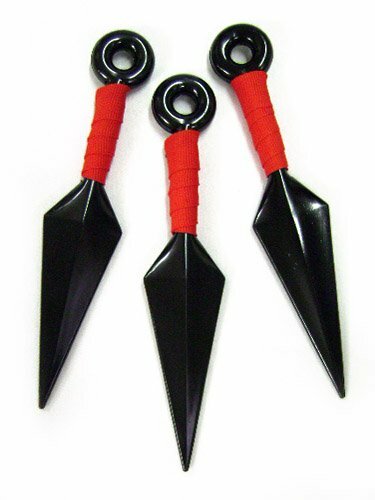 Just like no wizard could be without their wand no ninja could be without a weapon to defend themselves, and in this case Kakashi’s weapon of choice is a Shuriken. Don’t worry this one is only a prop made of plastic and can do no harm, but it sure looks deadly! The final item to complete the look is a pair of ninja shoes. 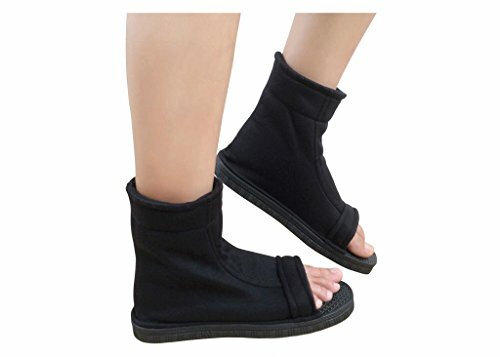 You can purchase these on Amazon or Ebay; or make them yourself using dollar store sandals with tights drawn over them. To make the cosplay more detailed you could wear a red contact lens in one eye to recreate Kakashi Sensei’s Rinnegan eye jitsu. That’s pretty much everything bit before you leave take a look at our other tutorials; this character would work well as part of a group cosplay. Also to keep up to date with our newest posts follow us on social media.